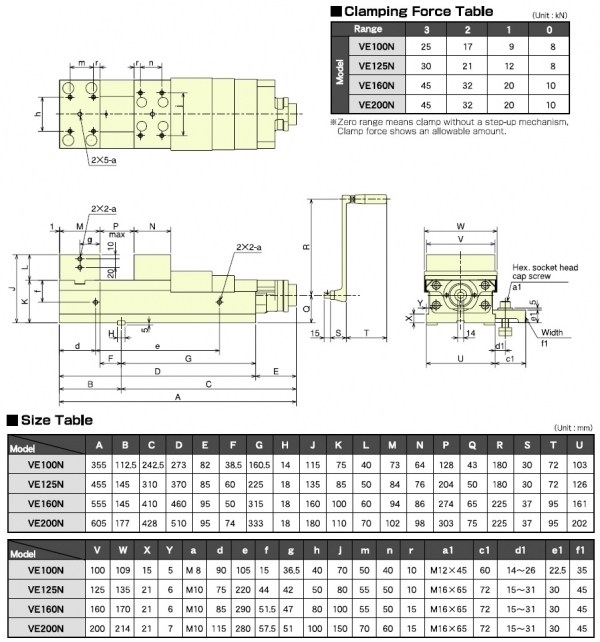 Low Profile Vise with adjustable clamping force using toggle mechanism. 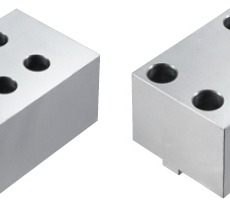 Hardened and ground steel body construction for rigidity high accuracy. 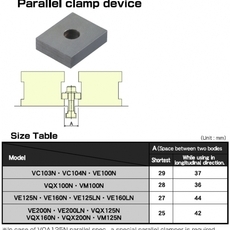 Kitagawa's VE Series Vises low height design offering increased machining capabilities. 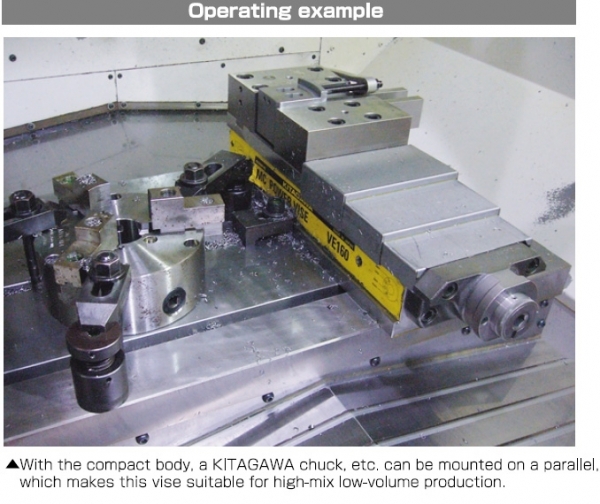 Jaw lift minimised to ensure high machining accuracy. 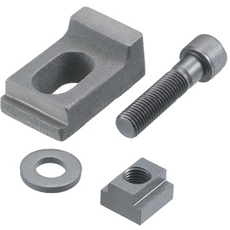 Options: Parallel clamp device, stepped guide block, ratchet handle, extension bar, soft jaws (a set of moving-side and fixed-side jaws). 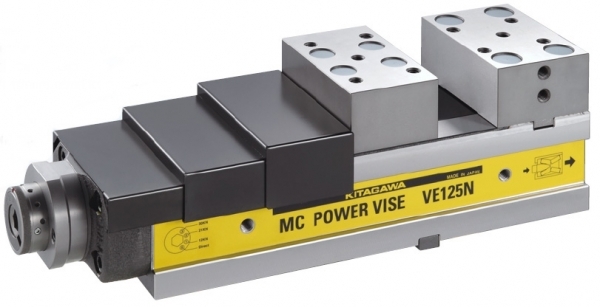 Visit the technical support section of the website for further information on MC Power Vises.